The present study describes a liquid chromatography-tandem mass spectrometry (LC-MS/MS) method for the simultaneous determination of S-RRR and R-SSS nebivolol (nebivolol enantiomers) in human plasma using solid phase extraction technique. Method of both S-RRR and R-SSS nebivolol (nebivolol enantiomers) has been developed and validated using racemic nebivolol D4 as an internal standard. Analytes from human plasma were extracted by ion exchange cartridges and subsequently separated on chiral column using acetonitrile: ammonium carbonate in water, 158 mg/L 80:20% v/v as a mobile phase, at a flow rate of 0.9 mL/min. Quantification of S-RRR and R-SSS nebivolol and R-nebivolol D4 was performed using multi-reaction monitoring mode (MRM) in positive mode. The calibration curve was linear (r2 > 0.99) over the concentration range of 20.0 to 6000 pg/mL for S-RRR and R-SSS nebivolol. The intra-day and inter-day assay precision revealed within ±15% (at LLOQ level ±20%) with accuracy within 85%-115% (at LLOQ level 80% -120%). The LC-MS/MS method was fully validated for all the validation parameters as per current regulatory requirement (US FDA, EU) such as selectivity, matrix effect, recovery and stability (in solution and in matrix stability). G.N. Sahana, N. Sarala, T.N. Kumar, Int. J. Biol. Med. Res. (2011) 577. J. Fongemie, E. Felix-Getzik, Drugs 7512 (2015) 1349. J.G. Howlett, Can. J. Cardiol. 30 (2014) S29. S.F. Ang, S.M. Moochhala, M. Bhatia, C.C. Bauer, J.P. Boyle, K.E. Porter, C. Peers, et al. Biol. 30 (2010) 1998. N.V.S. Ramakrishna, K.N. Vishwottam, M. Koteshwara, S. Manoj, M. Santosh, D.P. Varma, 39 (2005) 1006. J. Nandania, S.J. Rajput, P. Contractor, P. Vasava, B. Solanki, M. Vohra. J. Chromatogr. B 923 (2013) 110. C. Lindamood, S. Ortiz, A. Shaw, R.S. Rackley, J. Christopher Gorski, J. Clin. Pharmacol. 514 (2011) 575. D.V. Neves, C.P. Vieira, E.B. Coelho, M.P. Marques, V.L. Lanchote, J. Chromatogr. B 940 (2013) 47. M. Thevis, W. Schänzer, J. Chromatogr. Sci. 43 (2005) 22. P.K. Kachhadia, A.S. Doshi, H.S. Joshi, J. AOAC Int. 91 (2008) 557. J. Hendrickx, M. Bockx, C. Zwijsen, C. Borgmans, G. Mannens, W. Meuldermans, J. Heykants, J. Chromatogr. A 729 (1996) 341. US Food and Drug Administration. Guidance for Industry, Bioanalytical Method Validation. http://www.fda.Gov/cder/guidance/4252fnl.htm, 2001. Committee for Medicinal Products for Human Use. Guideline on Bioanalytical Method Validation. European Medicines Agency, 2011. M. Caban, P. Stepnowski, M. Kwiatkowski, J. Maszkowska, M. Wagil, J. Kumirska, J. Chem. 2015. A.A. Younes, D. Mangelings, Y.V. Heyden, J. Chromatogr. A 1269 (2012) 154. K. Tachibana, A. Ohnishi, J. Chromatogr. A 906 (2001) 127. 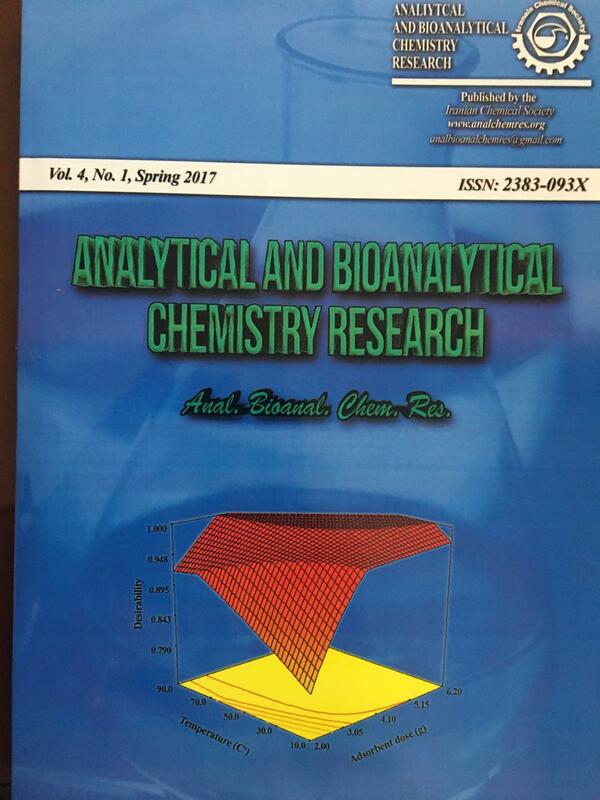 B. Chankvetadze, Enantioseparations by High-Performance Liquid Chromatography Using Polysaccharide-based Chiral Stationary Phases: An Overview, In Chiral Separations: Methods and Protocols, 2013, Vol 970. Humana Press, Totowa, NJ, pp. 81-111.